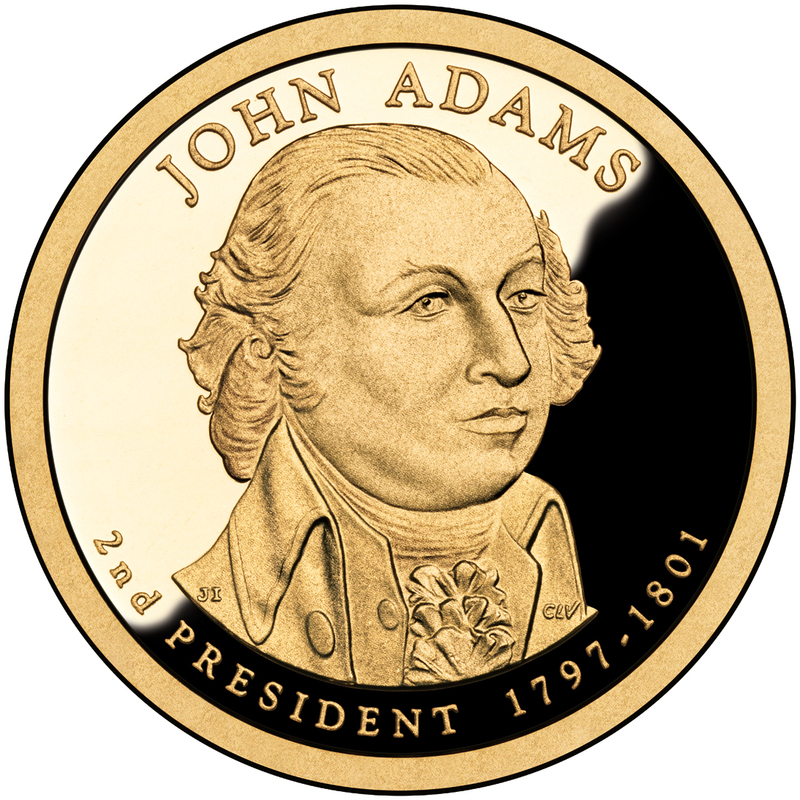 The John Adams Presidential Dollar was first released into circulation on May 17, 2007. 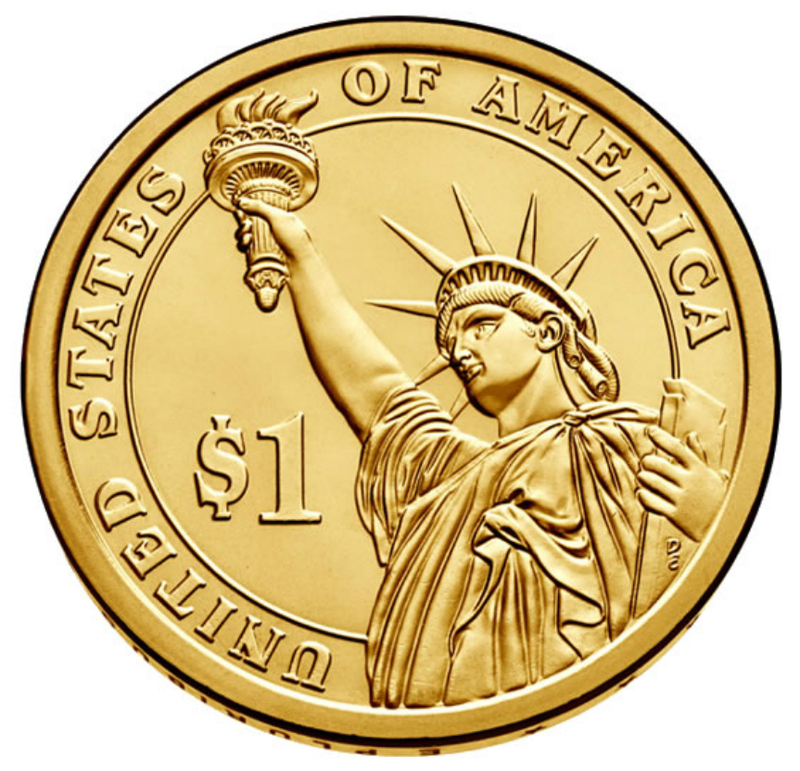 This represented the second coin in the Presidential Dollar coin series. Together with the first release featuring George Washington, total production of Presidential Dollars crossed the half billion mark with this release. John Adams was one of the earliest and most vocal advocates of colonial independence. He served on both the First and Second Continental Congress and for eight years as George Washington’s Vice President. He served one term as the 2nd President of the United States from 1797-1801. The official launch ceremony of the new coin was held in Quincy, Massachusetts, the hometown of John Adams. The United States Mint Director Edmund Moy and Mayor William J. Phelan were in attendance. Several of John Adams descendants also attended the ceremony. The obverse of the John Adams Presidential Dollar features a portrait of the president and the reverse features the Statue of Liberty. The obverse designer was Joel Iskowitz and the sculptor was Charles Vickers. The reverse designer/sculptor was Don Everhart. The mintage of the John Adams Dollar declined from the high levels for the first release of the series, but there were still more than 200 million produced for circulation. The Philadelphia mint produced 112,420,000 coins. The Denver mint produced 112,140,000 coins. As experienced with the previous release, some John Adams Presidential Dollars were struck with missing edge lettering. The estimated mintage for this mint error is 12,000 coins. This is a much smaller number than for the previous release, but the errors are still somewhat easily encountered on the secondary market. John Adams (October 30 [O.S. October 19] 1735 – July 4, 1826) was an American lawyer, author, statesman, and diplomat. Born in the Massachusetts Bay Colony in 1735, John Adams was one of the earliest and most vocal advocates for colonial independence. The Harvard-educated lawyer served as a delegate to both the First and Second Continental Congresses. He served as the second President of the United States (1797–1801), the first Vice President (1789–97), and as a Founding Father was a leader of American independence from Great Britain. Adams was a political theorist in the Age of Enlightenment who promoted republicanism and a strong central government. His innovative ideas were frequently published. He was also a dedicated diarist and correspondent, particularly with his wife and key advisor Abigail. He collaborated with his cousin, revolutionary leader Samuel Adams, but he established his own prominence prior to the American Revolution. After the Boston Massacre, despite severe local anti-British sentiment, he provided a successful though unpopular legal defense of the accused British soldiers, driven by his devotion to the right to counsel and the "protection of innocence". As a delegate from Massachusetts to the Continental Congress, Adams played a leading role in persuading Congress to declare independence. He assisted Thomas Jefferson in drafting the Declaration of Independence in 1776, and was its foremost advocate in the Congress. A skilled diplomat, Adams lived in France and Holland during the Revolution, working to secure crucial international support and recognition of American independence. As a diplomat in Europe, he helped negotiate the eventual peace treaty with Great Britain, and acquired vital governmental loans from Amsterdam bankers. Adams was the primary author of the Massachusetts Constitution in 1780 which influenced American political theory, as did his earlier Thoughts on Government. Adams' credentials as a revolutionary secured for him two terms as President George Washington's vice president (1789 to 1797) and also his own election in 1796 as the second president. Elected by a margin of just three electoral votes (71-68), John Adams was the first President to live in the White House, arriving in Washington on November 1, 1800. On his second evening in its damp, unfinished rooms, he wrote to his wife, "Before I end my letter, I pray Heaven to bestow the best of Blessings on this House and all that shall hereafter inhabit it. May none but honest and wise Men ever rule under this roof." In his single term as president, he encountered fierce criticism from the Jeffersonian Republicans, as well as the dominant faction in his own Federalist Party, led by his rival Alexander Hamilton. Adams signed the controversial Alien and Sedition Acts, and built up the army and navy in the face of an undeclared naval "Quasi-War" with France. The major accomplishment of his presidency was a peaceful resolution of the conflict in the face of Hamilton's opposition. Due to his strong posture on defense, Adams is "often called the father of the American Navy". He was the first U.S. president to reside in the executive mansion, now known as the White House. In 1800, Adams lost re-election to Thomas Jefferson, and retired to Massachusetts. He resumed his friendship with Jefferson upon the latter's own retirement by initiating a correspondence which lasted fourteen years. He and his wife established a family of politicians, diplomats, and historians now referred to as the Adams political family. Adams was the father of John Quincy Adams, the sixth President of the United States. He died on the fiftieth anniversary of the adoption of the Declaration of Independence. Modern historians in the aggregate have ranked his administration favorably. 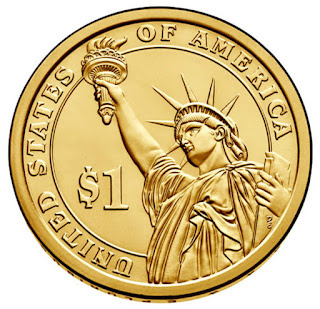 - Act of February 1, 1798 — This Act suspends, for a period of three years, a portion of the Act of February 9, 1793, relating to the acceptance of foreign coinage as legal tender in the United States. - Act of April 24, 1800 — This Act authorizes the purchase of copper equivalent to the number of cents and half-cents produced during the prior year, and authorizes an annual purchase to continue the striking of these coins. - Act of March 3, 1801 — This Act directs the location of the United States Mint to remain in Philadelphia until March 1803. - President John Adams did not appoint a Director of the United States Mint.